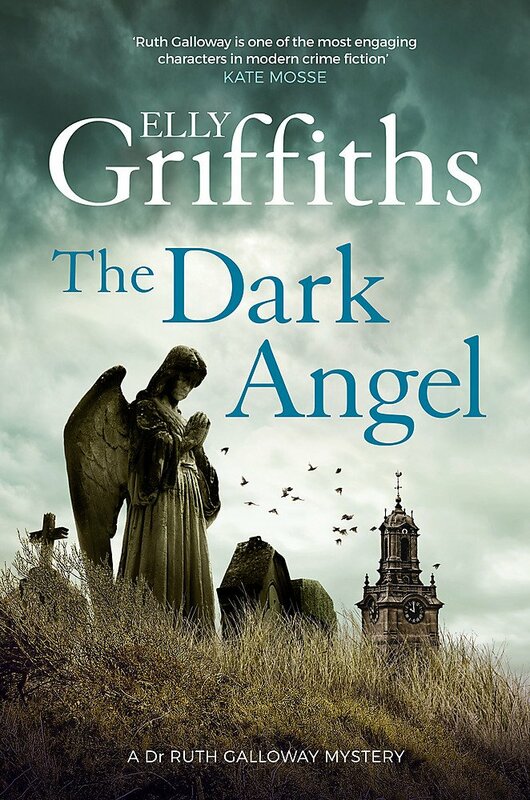 THE DARK ANGEL is the tenth in the Ruth Galloway Mystery series by Elly Griffiths – this time Ruth Galloway has a change of scene but even then she still finds a murder to investigate. Dr Ruth Galloway returns home from Clough and Cassandra's wedding to find a message on her answerphone from an Italian former boyfriend and fellow archaeologist Dr Angelo Morelli, asking for her help. He has discovered a group of bones in a tiny hilltop village near Rome but does not know what to make of them – they might be Roman but there are anomalies. Ruth has not had a proper holiday in years and decides that even a working holiday to Italy is welcome. Ruth and daughter Kate, together with friend Shona and her son Louis, travel to Castello degli Angeli. Here she finds a baffling Roman mystery and a dark secret involving the War years and the Resistance. She is soon joined by Harry Nelson - concerned about Ruth and Kate when he learns of an earthquake - and Cathbad. But by then the ancient bones have sparked a modern murder and Ruth must discover what secrets there are in Castello degli Angeli that someone would kill to protect. I am a big fan of the Ruth Galloway novels and though I do feel that they are best enjoyed in sequence, you can probably pick up most of the background needed to enjoy each novel as you go along - probably more so here as there is a lot of scene setting in early chapters. There is the usual excellent characterisation that one expects in Elly Griffiths’ books – believable, flawed but ultimately likeable ongoing main protagonists: Ruth Galloway, Harry Nelson and Judy amongst the adults with Kate coming to the fore. There is the usual twisty plot here that engages the reader and this particular novel benefits, I think, from the change in milieu from East Anglia to Italy. As I have stated about previous Ruth Galloway mysteries - if you do have a liking for modern cosies with perhaps a little hint of grit then I would strongly recommend this to you. My major niggle would be that it is a bit convenient for Nelson to turn up, but even more so with Cathbad – yes there is a reason, but them both leaping on a plane at short notice is a bit of a stretch. Love Ruth Galloway, no matter what the plot device is, so I'm sure I'll like this book. A change of scenery is also good. Was relieved to read at Elly Griffiths' Twitter that this is not Ruth's last outing. Me too Kathy. I'd heard rumours that this was to be the last.